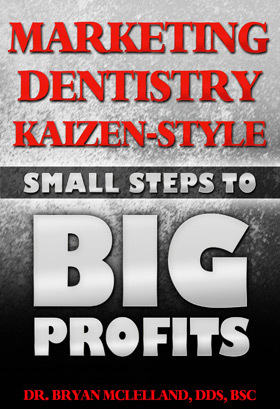 This book is packed with practical ideas and concepts in a Kaizen way breaking its elements down into small steps leading to BIG PROFITS. 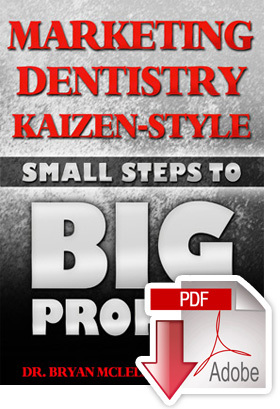 This publication provides the marketing information that was never taught in dental school and needs to understood and implemented in every successful practice. Follow this book and allow the practice to be successful beyond your wildest dreams reducing stress, increasing profits and allowing the doctor to practice their craft without disturbance.